The memberships of public partners and private individuals are one of our main sources of funding. They ensure our independence and the continuity of our actions.  As a private individual, you can become a member of La 27e Région (40 euros per year). Of course, you will be invited to our general assembly and you will become an actor of La 27e Région’s adventure. If you wish to go further and support us, you can also donate directly to La 27e Région (please contact us to do so). Do you want to meet with us? La 27e Région is not a provider and has no customers; it is a project of general interest. Its role is to produce and pool knowledge, proposals and feedback to be widely shared simply for the common good. Our partners are local and regional authorities, public administrations and private stakeholders who provide funding to both benefit from and actively contribute to the common good. Our projects are selected by the entire 27 Région team; all our programs (Territories en résidence and the Transfo) start with a series of visits and field interviews to ensure that everyone is prepared to comply with the program’s protocol. It sometimes happens that an element of the protocol cannot be met by a given stakeholder, in which case, either the operation is abandoned, reserved for the future, or other players are selected to pursue the operation. La 27e Région is a small team that is not looking so much to grow as a structure, but rather to contribute to developing an ecosystem of players and a community of individuals, or even a specialized sector of activity. When we conduct a program, we call upon candidates so as to select professionals who will implement the program in the field as service providers. We try, as much as possible, to set up multidisciplinary teams, bringing together the capabilities of both seniors and juniors. In doing so, La 27e Région plays a mediating role designed to facilitate the work of the teams with local/regional authorities and all stakeholders. We are always looking for atypical profiles: new specialized designers, field sociologists, young researchers, all of whom, in priority, are familiar with the public sector. An idea of partnership, project…? Are your a media or do you want to know more about us? 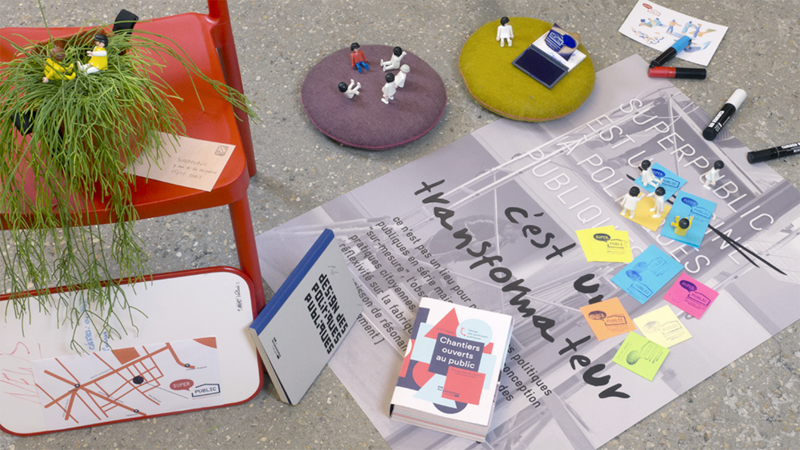 Opened in 2014 in Paris, Superpublic is the first space ever entirely dedicated to transforming public action. It is equipped for leading creative design workshops, hosts many events and specialized training programs and welcomes the visits of both French and foreign teams. Designed as a meeting point for the pioneer community in public innovation, it promotes the pooling of resources and workspaces as part of its co-working framework. To reinvent the way in which public policy is designed and implemented, public agents, practitioners and professionals need neutral spaces where they can speak freely, free zones where it’s not only possible to think out of the box, but where one is encouraged to do just that – open spaces where top-level capabilities concerning public innovation can converge. This is the role played by Superpublic. But beyond this space, Superpublic is, in reality, a concept that can be reproduced elsewhere, at regional level or abroad, some having already been motivated to do precisely this. Via its diversified program, its co-working activity and the documentary resources it houses, Superpublic promotes the overlapping and interchange of knowledge and experience among disciplines, capabilities and structures engaged in the act of public innovation concerning all basic questions relating to innovative methods, values and controversies. Superpublic offers a propitious setting for cooperation and for sharing freely accessible resources based on the common property model.